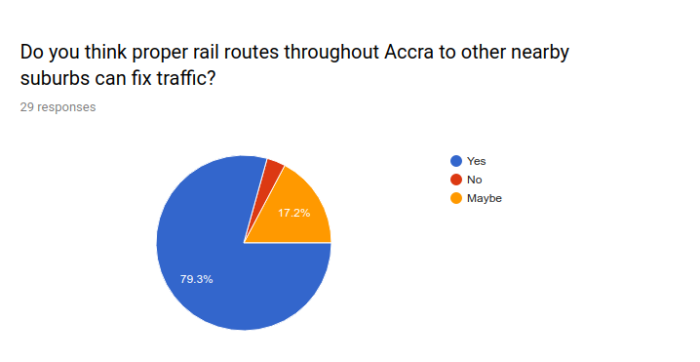 How much does commuting in Accra cost the average Ghanaian and the nation as a whole, each day, month and year? Note: Scroll to the bottom for the insights. The insights will be updated every month. The more responses, the better. 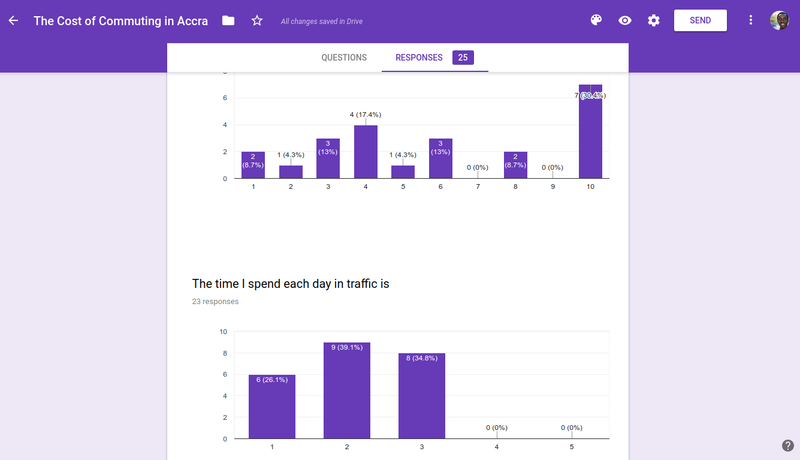 This under-20-seconds survey seeks to hear your feedback on how much time it takes you to commute in Accra. We appreciate the time taken in completing the survey. 79.3% of respondents think proper rail routes throughout Accra to other nearby suburbs can fix traffic. The above values will be updated each month. 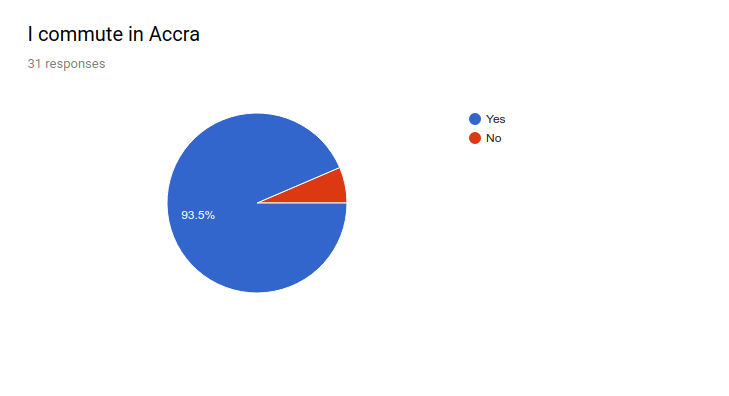 If you’re yet to take the survey, please do so above. Do well to share with others too. 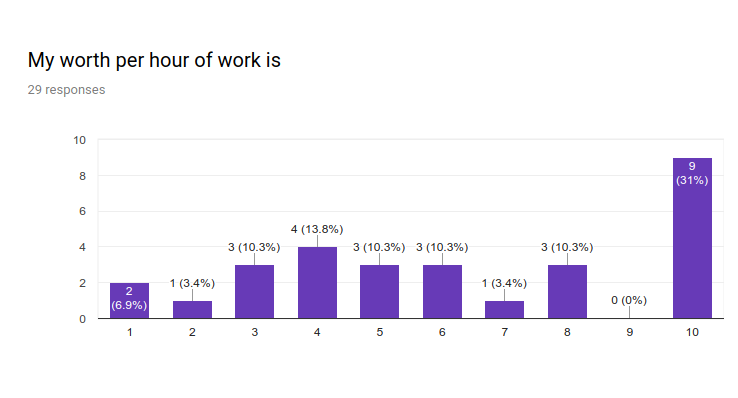 * The above survey is conducted on the basis of assuming the highest hourly rate of a respondent is equal to or less than 10$. Goal is to target the “at least” type of stats. We understand many professionals in the country do earn over 10$ an hour. 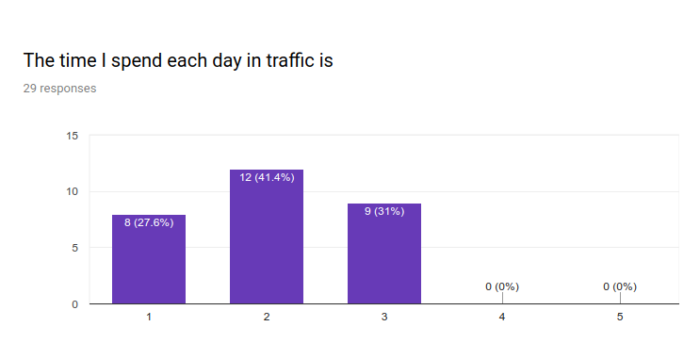 However, such higher values would mean higher averages, thus even if responded earns more than 10$, we encourage responded to simply select 10$.